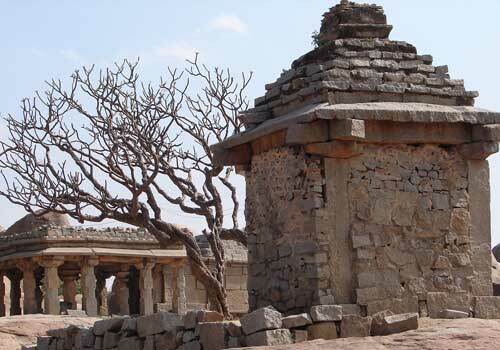 For those interested in history and nature, Hampi is the perfect destination as it has historical monuments and natural beauty in store for the tourists. Apart from the monuments, there are many ancient temples which are visited by a huge number of believers. The architecture of the temples in Hampi is very much beautiful and reminds us of the ancient history and culture of Hampi. Tungbhadra Dam, which is 16 kilometer from Hampi is another major attraction in Hampi and this is a must visit destination if you want to see something different rather than the monuments. Most of the monuments in Hampi can be explored free of cost and the only two major monuments that needs to be paid are The Vittala Temple and Elephant Stables. The Hampi Festival or Vijaya Utsav offers an amazing insight into the culture of this village. The festival is held every year during late January and is noted for its unique dance, music, drama, puppet shows and fireworks. Another major cultural event in Hampi is the Purandaradasa Aradhana classical music festival which is held in January/February. Virupaksha Car Festival is another important religious festival in Hampi which is held during the months of March and April. So if you are really interested in exploring the cultural festivals of Hampi, then you can plan your travel trip accordingly. Taking the climatic conditions of Hampi into consideration, the best time to visit this heritage village is between November and March when this place experiences winter. The rest of the periods are not recommended for a travel trip due to extreme climatic conditions. So if you are planning to visit Hampi, then you have to schedule it between the months of November and March, before the climate gets extreme. Hampi does not have an airport and the nearest airports are at Bellary and Hubli which are 2-3 hours drive away. The nearest railway station is at Hospet which is well connected to the other major Indian cities. Hospet is also having a good road network and this can be utilized on your trip to Hampi. 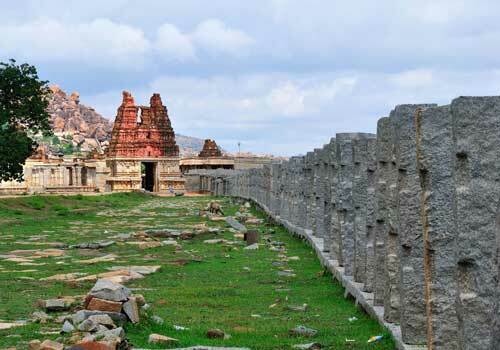 The distance between Hospet town and Hampi monumental ruins is just around 14 kms, which makes more easily accessible. There are a good number of luxury and heritage hotels and resorts around Hampi and this make it easy for you to get an accommodation and refresh yourself on your way to Hampi. There are some good hotels in Kamalapura and Hospet and these two places are not too far away from Hampi. 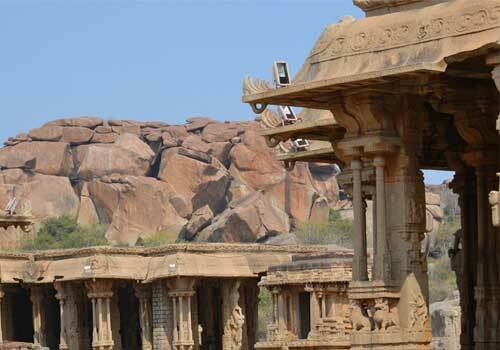 This entry was posted in Hampi and tagged hampi, hampi monuments, hampi travel, monumental ruins in hampi. Bookmark the permalink.